I hate being hot, period. I constantly need to feel airflow especially during the Summer time. And if you know me, you know I despise running things like air conditioning. 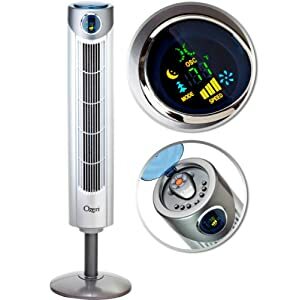 I was recently asked to review yet another amazing product from Ozeri, the Ozeri Ultra 42 inch Wind Fan - Adjustable Oscillating Tower Fan with Noise Reduction Technology. By now, you should all know I love working with Ozeri as their luxury products are not only of a high quality but affordable for the every day home! I can definitely start this review by telling you the Ozeri Ultra Oscillation Fan is no different! In an effort of being more environmentally conscious with our utility bills, we try to run fans like this throughout the house. 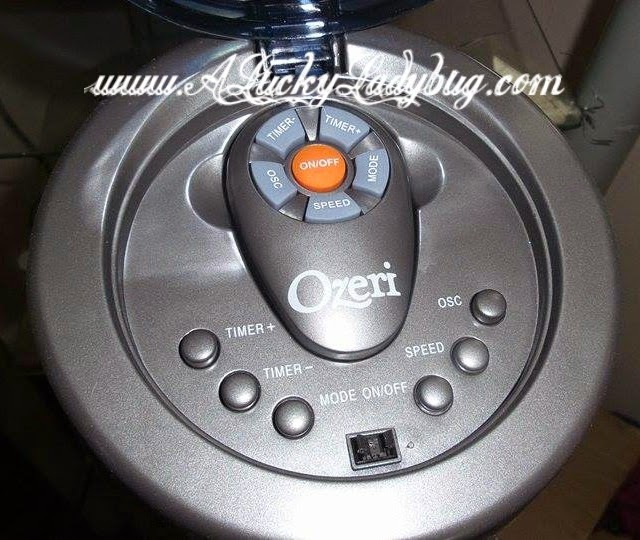 While this is my 3rd fan from Ozeri, it is by far my favorite! With a rather larger living room, I can still feel the breeze from across the room from where we have it positioned. It's light weight and doesn't take up much room like typical floor fans. I absolutely love the fact that its not bulky or in the way with a nice sleek look! I feel like it is just as much a part of the decor around the room as anything else. The Wind fan "features 3 pre-programmed airflow patterns and 3 whisper-quiet speed settings with 90 degree oscillation". The controls for this fan are located on the top for easy access and are touch sensitive. Included is a remote as well so you don't ever have to move if you don't want to. Many fans are loud and annoying causing it to be difficult to hear things like TV or can be disruptive. No one in my house has yet to complain at night that they can't sleep while running. There is even an option to program the fan for 1 hour intervals for up to 12 hours if you don't want it constantly running and using electricity!! Recommendation: Definitely worth the purchase, especially when you look at the competitors which offer something at half the quality. This is something that will fit with any decor AND work for years to come!